Northern Kentucky University recently launched a single point of entry for all of its programs and services. Using its new online portal, NKU’s nearly 14,000 students and 2,000 faculty and staff members can easily connect to student services, academic support, transportation services and more categories in an online marketplace format. 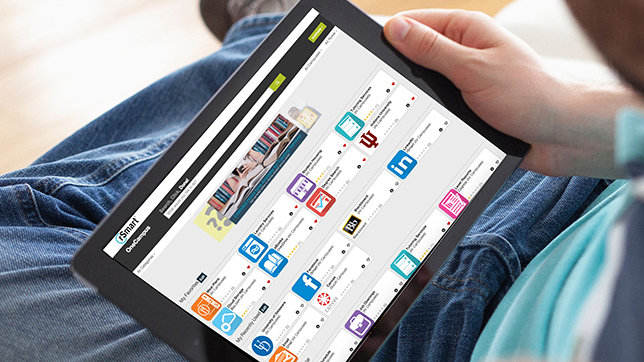 The cloud-based portal, built on OneCampus from rSmart, is designed to simplify finding and accessing campus services and information. Its Google-like search, ratings and reviews all analyze the services that are being used. In addition, OneCampus dynamically manages what “tasks” (services or events) are used the most frequently — serving up the highest rated and most popular tasks along with a category of the day to help keep students up-to-date on campus services. OneCampus connects to an institution’s authentication system to allow for single sign-on and integrates with learning management systems, enabling students to view grades, class schedule, e-mails and more in the portal. Administrators also have the ability to quickly change or add new tasks with limited expertise, minimizing the IT burden. To learn more, a demo can be requested on the OneCampus site.